Made with attention to detail these beautifully designed and handmade bracelets are all one-of a-kind. 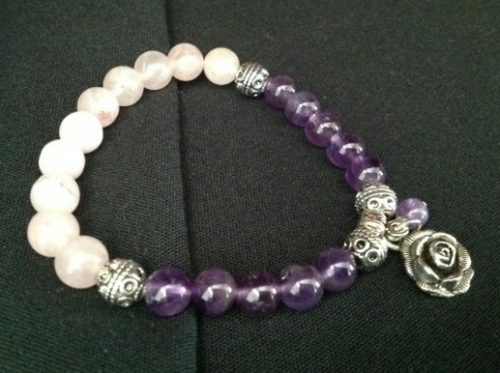 They are made with real semi-precious gemstones and quality crystals. 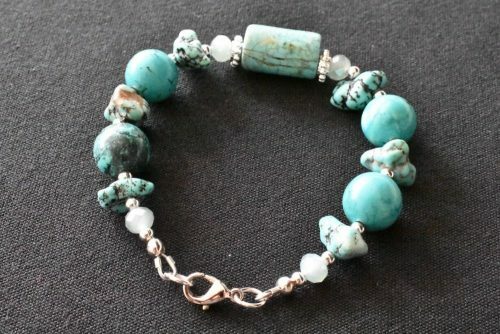 Some bracelets may feature hand-created clasp closures while others may have traditional “lobster claw” hook and loop clasps. Elastic bracelets are made with several strands of elastic silk to ensure longevity. 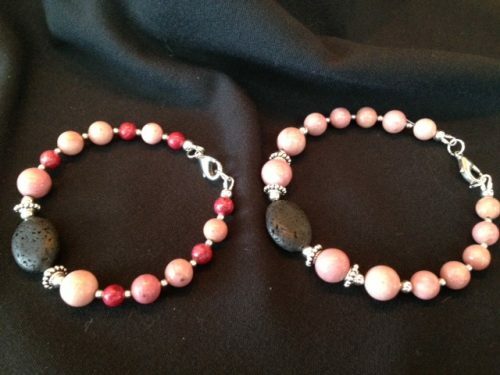 Bracelets make a lovely friendship, Mother’s Day, bridal party or birthday gift or just something special for yourself. 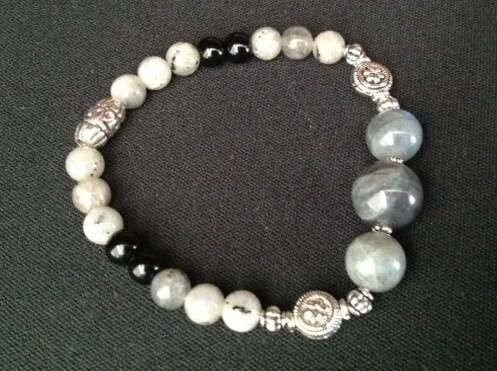 Gemstones and crystals are chosen with consideration for their healing properties and powers. 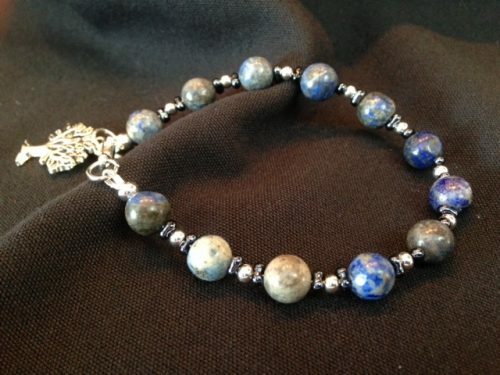 I can make custom orders if you like a bracelet but would like something changed. Variations might be type, color, or size of stones or the fit size of the bracelet. 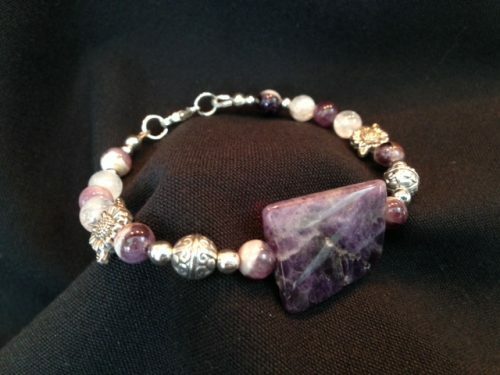 I also make elegant wire work and gemstone bracelets. Silver plated wire is used in all wired products, however, I can do custom orders with sterling silver. I am proud to use locally produced materials when available, however most stones and metals are sourced from around the world. Directly from me, in Calgary. Please email me at Shootingstarhandcrafted@gmail.com. and I can send you all kinds of pictures and discuss what you'd like made. I also have a site in progress at Etsy.com. At Etsy.com search "Shooting Star by Sandi"
The name of my business is Shooting Star Handcrafted - Designs & Creations Inspired by the Earth & Environment! I have always been a creative person, interested in crafting beautiful and lasting things for others to enjoy. After several trips to Arizona and gem and mineral shows I became interested in the metaphysical properties of gemstones. But being a "creator" I needed to do more with the stones, and wearing them in beautiful settings seemed like a great way to share my new passion. So bling has become the creative part of business. The environmental part of my creations are the 100% cotton handkerchiefs that I sew. I purchase North American manufactured fabric as often as possible to reduce the environmental footprint of transportation. But really, using these purposefully small, 12" square, reuseable pretties, reduce our use of paper products and production of trash. I like that. I have been trying to make little changes in my life to help our environment - maybe you can too!